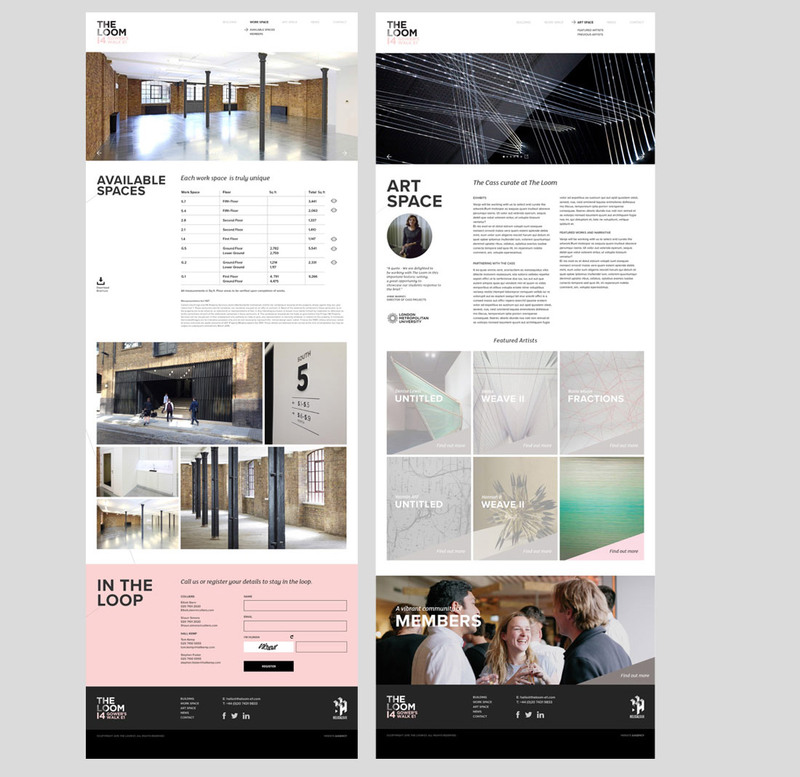 The Loom is a revitalised Victorian wool warehouse, providing 100,000 sqft of unique workspace for creative minds in the heart of Whitechapel. 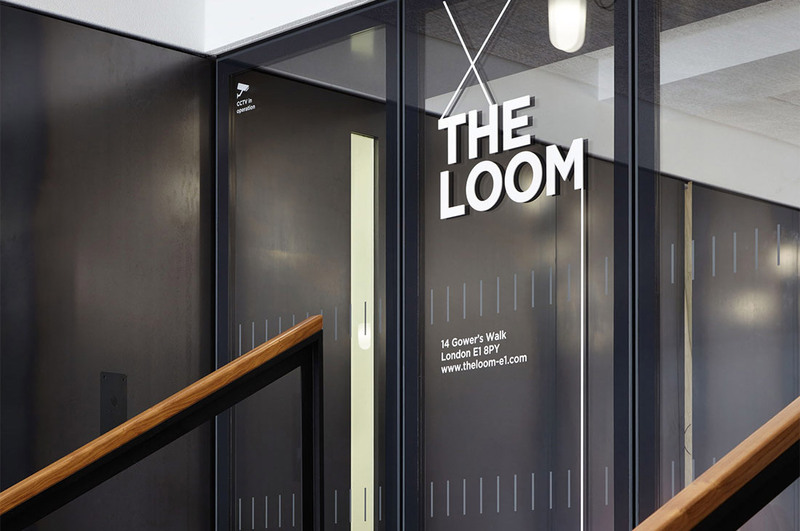 The brand identity positions The Loom as a new kind of place. A historic building with contemporary interventions. It is being brought back to life, creating a place that’s rich in heritage and culture, with people at its heart. The full website is the second and final phase of a marketing strategy. 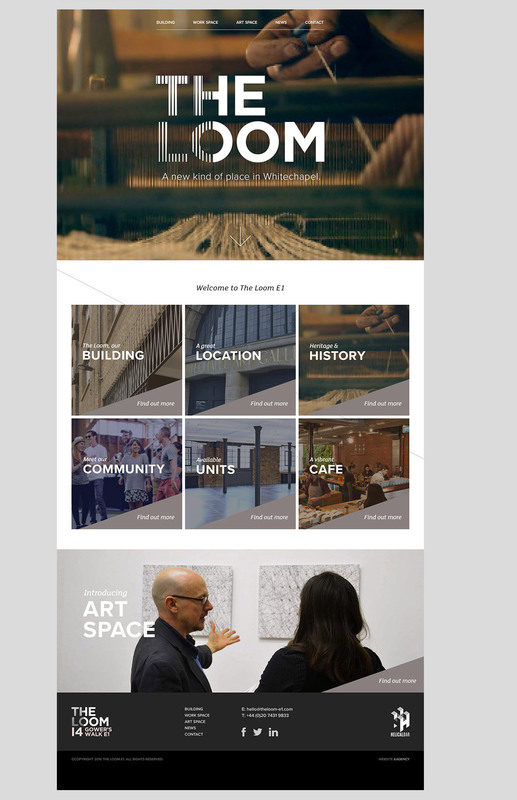 The homepage opens with fullscreen video and scroll to a visual navigation grid to other key areas of the site. The promotional content block at the bottom of the page is a slideshow and clicks through to relevant page. The site is built with lots of editable elements, from expanding image galleries, options to promote areas in content blocks, showcase the videos and add the contact form to the bottom of every page. This allows cross navigation throughout the site. Each element is very easy to edit and update on the backend allowing full flexibility. 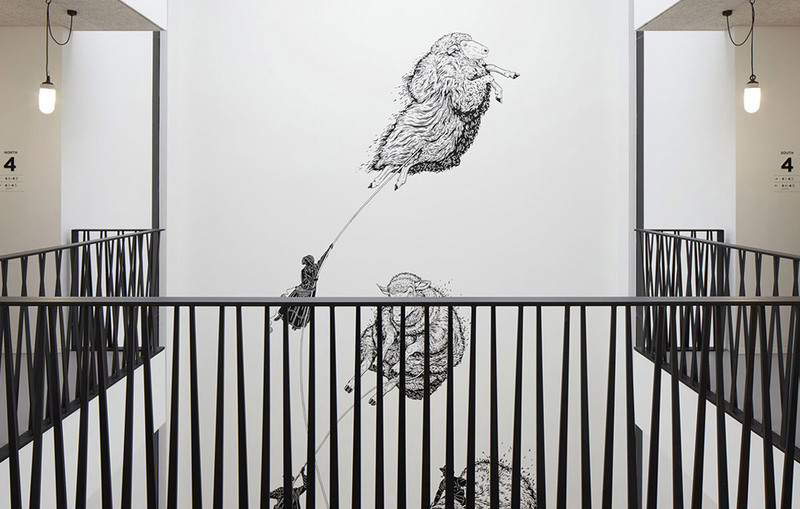 Single threads join the bold typography hinting at the Buildings heritage. Galleries are flexible and easy to update on the backend and Hero images open as light boxes to see the full picture.